A short time ago I was working with a team of senior leaders. We were discussing the overall purpose of the organization and the bottom-line goal that was driving the organization forward. In most companies these are things like profit margin, revenue, sales targets, production goal, etc.. This is a manufacturing group and the target was centered around production output. The groups were not communicating well among themselves when it came to discussing the unintentional consequences of how an action in one department might be negatively impacting productivity in another department even though they were working towards the same goal. This impacted their ability to make good business decisions because they couldn’t see the full impact that their choices had on other departments’ ability to hit their targets. While they had done a good job of communicating the target to everyone in the organization, they had not done a great job of helping their people understand the unintentional consequences that their actions (or inaction) were having on the overall goal and more importantly what it meant to them as individual contributors (reduction in bonuses, future salary increase, etc.). These challenges are not uncommon … in fact you could find a version of each of these problems in most companies to varying degrees. In most companies while the goal of the organization may be widely known, what is not widely known is how actions taken in one department unintentionally impact other areas of the business. The other key concern is whether or not the employee’s understand just how important their work (and decisions) impact the overall company goals. These situations arise when leaders are not aware of the The Law of Unintentional Consequences. Focus on Going Forward – Most meetings are updates about what already happened. Be sure to discuss what you’re team is doing going forward so people know what to expect and which areas will be affected by your teams’ actions. If you want to have a meeting to discuss what you’ve already done – send an email – you probably don’t need to regurgitate the past … it has past. Connect Your People To The Overall Goal – Help your folks understand how everything they do (or don’t do) has a cost associated with it. Choosing to work on a Project X means they can’t work on Project Y. Teach them to maximize their time in relationship to how their actions and decisions positively impact the overall company goal for the highest return-on-investment. Be sure to help them see how they benefit when the team achieve the goals … in other words … WIIFT (What’s In It For Them). Place the Locus of Control Where It Belongs – There is plenty of research that shows when people have a say in how their work is done they take more responsibility for their work and they achieve more. This is an area where leaders who micro-manage shoot themselves in the foot. The unintentional consequences of micro-managers are that the message they send to their people is I don’t trust you and you really have a say in how you do your job. When this happens it’s just a matter of time before people disengage, talent is driven away, and the bottom line is eroded by these unintentional and sometimes hidden consequences. In the end, organizations that help their people understand how their actions impact others and how they can positively help the team achieve their goals succeed far more often than those who don’t. 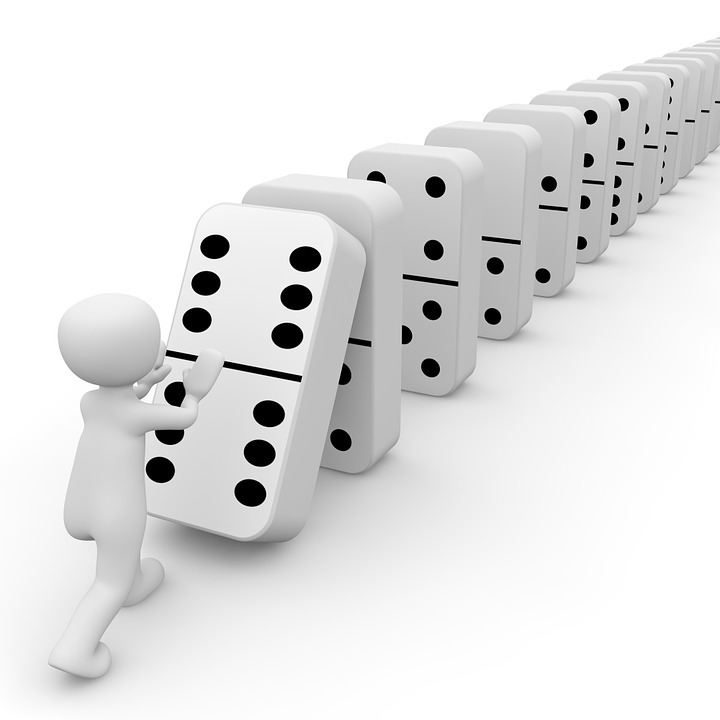 Is the Law of Unintentional Consequences negatively impacting your business? Now that you know … what is the next action you need to take? PreviousPrevious post:Emotions, Decisions, and BusinessNextNext post:Leadership: Be Careful … It’s a Jungle Out There!